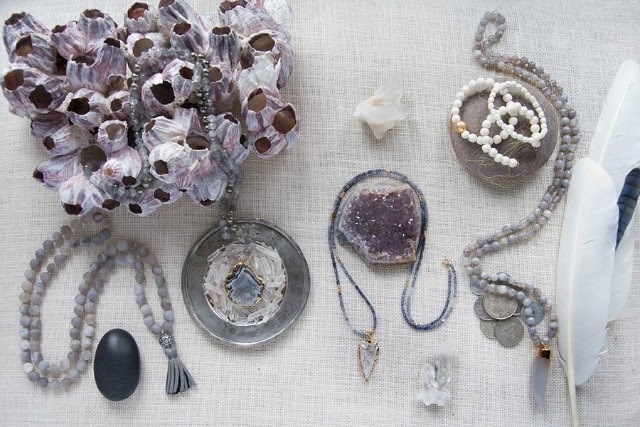 Gold and Gray has done it again and has got me swooning over their spring collection. 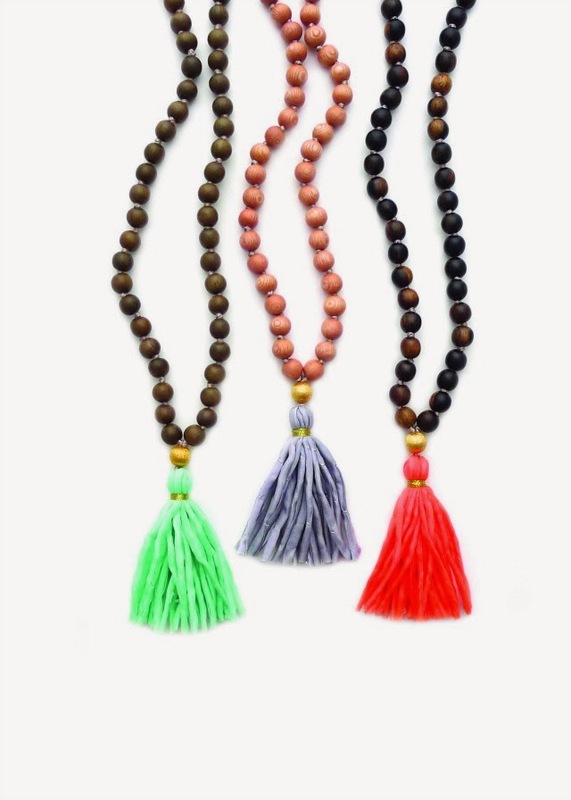 I'm absolutely obsessed with their gorgeous beaded and knotted necklaces and the new tassel colors will add the perfect spring vibe to even the simplest of outfits. My favorite piece for the season? 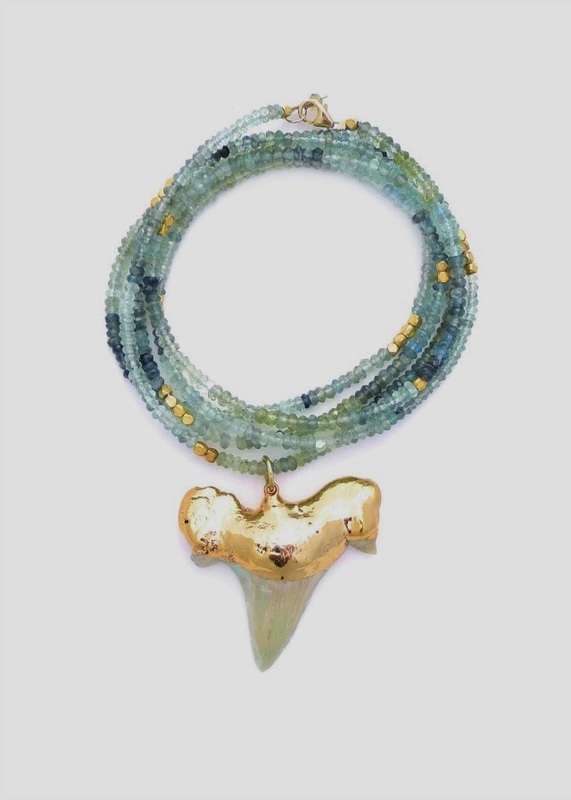 The knotted aquamarine with shark tooth necklace which, according to Lily, mastermind and designer behind the brand, was "inspired by the beach and the many different shades of the blue that can be found in the ocean." Lily loves mixing natural elements (i.e. 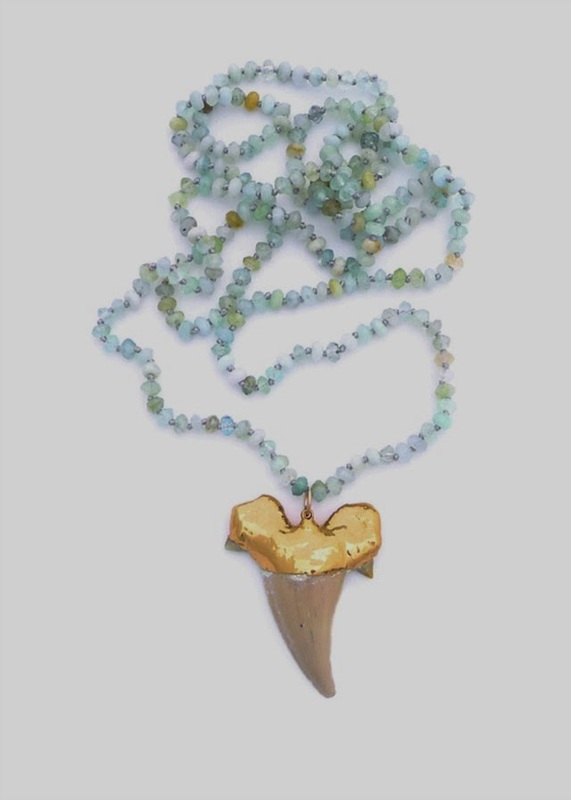 real shark's tooth and aquamarine stones, in this necklace's case) to create her pieces. Gold and Gray's spring collection was inspired by the vibrant colors found in the beautiful Slim Aaron coffee table books that Lily loves so much. Oh! 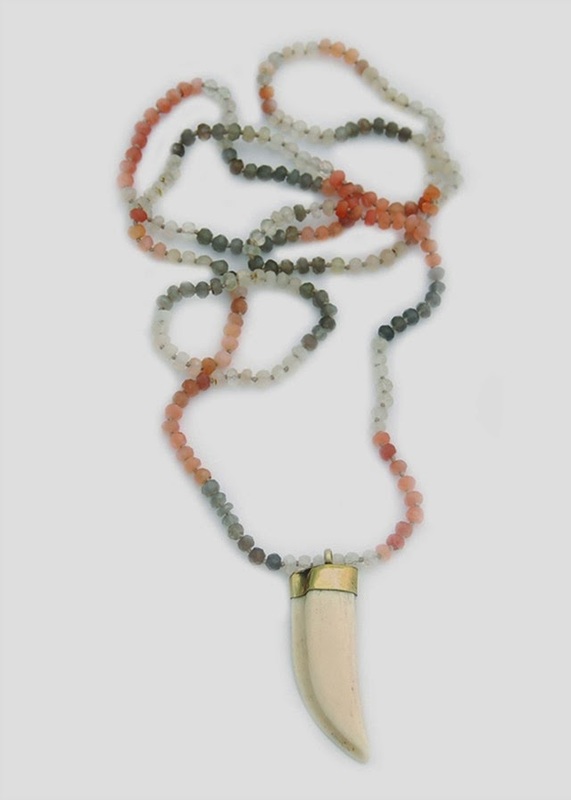 And if you're more of a "delicate necklace kinda gal" don't worry, Gold and Gray has got something for you too. 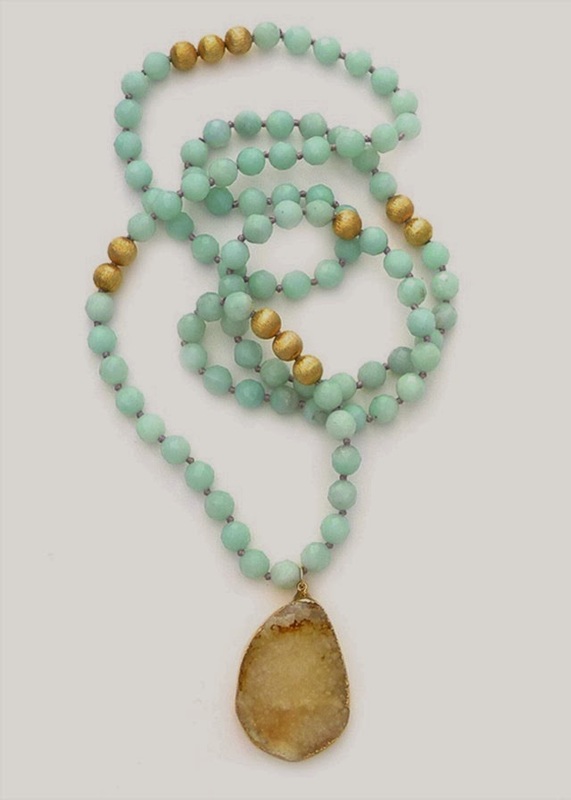 Gold and Gray's pendant necklaces are just as beautiful! Browse their e-boutique and see for yourself... you'll love it as much as I do! Beautiful! The colors and textures are just so pretty. Have a good weekend! I think I want/need every single one of these necklaces! 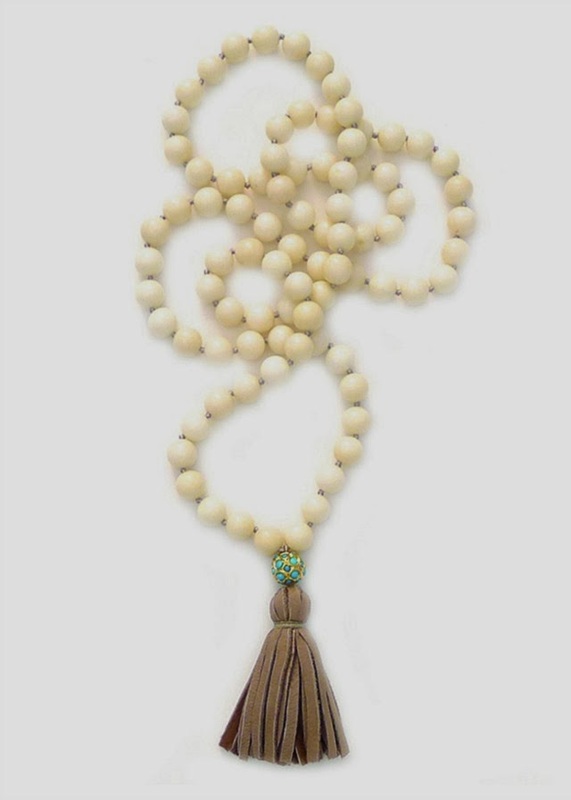 adore the tassel and shark tooth necklaces! So cute for summer with a plain old t-shirt! 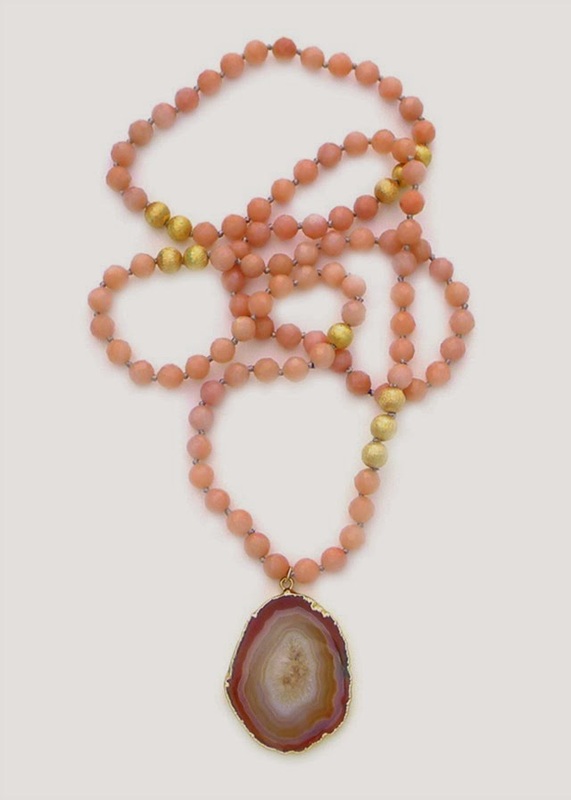 I seriously LOVE agate! So stunning! I love the necklaces with the shark teeth! So pretty. Beautiful jewelry! I like the rustic materials.